. 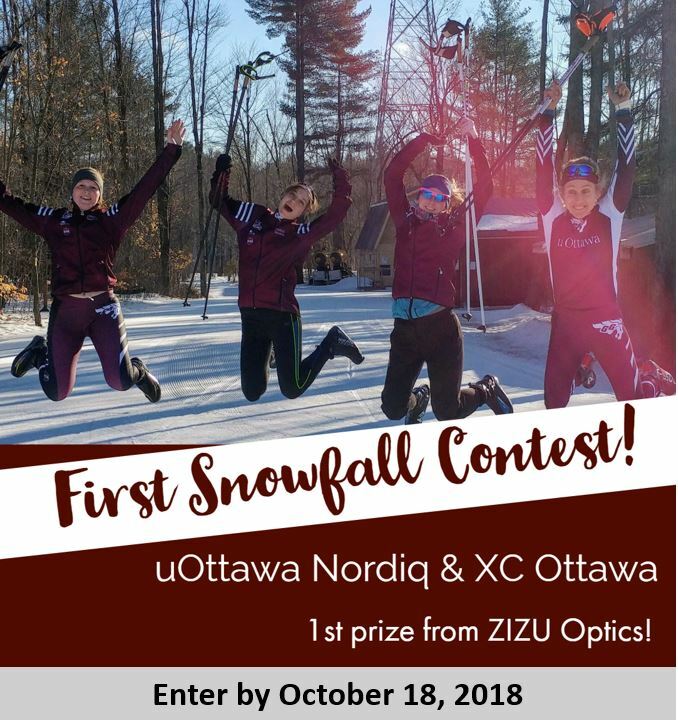 : 2018 uOttawa Nordiq & XC Ottawa First Snowfall Contest :: Ski XCOttawa.ca :: Skiing in Ottawa and Gatineau Park :. Are you an amateur weather prognosticator? Can you smell snow in the air before it falls? Are you addicted to the weather channel? Do you follow all the weather related trivia from @YOW_Weather? Are you anticipating your first ski of the season with excitement? If you answered 'YES' to any of those questions, then we have a great contest for you! Be the first person to correctly predict when our region will get the first snowfall of the ski season. Beyond prestige, you will win a prize from ZIZU Optics (2 great looks: One pair of xZ1 Rim model and a second lens NO rim model)! Fill out this FORM before midnight Thursday, Oct. 18th. Only 1 guess per person (like 28/11/2016 at 06:45). Who may enter: The contest is open to anyone, amateur and professional meteorologists alike. In fact if you are a professional meteorologist we dare you to make a prediction! Judging. 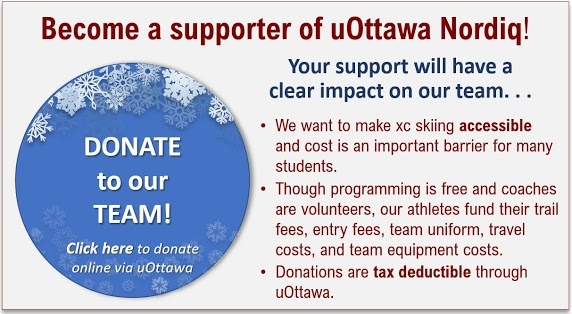 To make it easy to officiate and have a permanent record of the first snowfall, the XCOttawa webcam will be the judge! This also allows all of us snow obsessed skiers to watch the 'action' live all day long. The person whose prediction is closest to the actual date/time of the first observable accumulation wins. To clarify, observable will be white covering the grass...you can refer to what constitutes a snowfall from a previous edition of the contest. XC Ottawa's webcam owners Karl, Megan, and Leena will help confirm the exact date and time and be a backup to the webcam as it is in their backyard! Prize. It's all about the prestige, but 1st place winner will receive eyewear from ZIZU Optics (you will need to pick this up in Ottawa). Do I have to live in the Ottawa-Gatineau Region? No! In fact we'd love to see entries from across Canada and ecstatic if people living outside of Canada care when we get snow! Editorial: Sunday: Women: 10k Skate, Men: 15k Skate. Why the difference?